I know Viki has her Death Café coming up soon…which is very exciting!….so when she asked me to guest blog I decided to talk about the relevance of a Death Café to friend grief and the impact one could have on the other. One of the hardest bits around grief can be the experience of feeling that people aren’t there for you. This can be more severe when the person that died was a friend rather than a family member. Our friends are the family we choose – I strongly believe this. And though we aren’t tied to them by a last name or by blood the experience of losing them can be just as powerful as losing a family member. Even more powerful for some. Our experience of the death of anyone in our lives comes down to the meaning it holds for us. And losing a friend, close friend, or best friend may have just as strong or even a stronger meaning for us than any other loss. But not everybody sees it like this. We all view life through our own very unique perspective. And for someone whose family are far more important that friends your loss of your friend won’t seem as bad or as extreme to them as a family loss. And so it is much easier not to deal with it or with you and to take a step back. And this is where the problem of support comes in. In general our English-speaking societies are pretty rubbish when it comes to talking about death. It is taboo. We don’t want to talk about it or, God forbid, plan for it. We will read endless novels and watch lots of TV and movies filled with it but when it comes to facing it for real we are at a bit of a disadvantage. We consider it all a bit morbid, scary, unnatural. And mostly we will avoid it at all costs. And this need to avoid it is precisely why we can sometimes feel unsupported by those around us when we have a loss. When there is a death or deaths in your life there are some people who will be there for you, some who will kinda be around but clearly struggle with it, and some who will disappear. And more often than not we are tempted to then get angry or disappointed and say we now know who our ‘real’ friends are. When I lost 6 family members in 4 months I learned a very valuable lesson very quickly– when death comes into your life the reactions of people around you will tell you less about how they feel about you…and far more about how they feel about death. You will become a sudden reminder to others of their own mortality and the mortality of those they love. Think of it like this: you are like a walking subliminal message that goes ‘remember, you will die and everyone you love will die.’ And most people don’t want to be going there. Some simply can’t…..no matter how much they love you. This is why some of the closest people to you will suddenly inexplicably go quiet or disappear. It isn’t that they don’t care….it’s that you push a button in them, a button they may not even acknowledge, that is far too painful or threatening to face. When people aren’t there for you in this experience, they are avoiding death, not you. Here is where Death Café comes in. A Death Café is a space for people to talk openly about death and all death related stuff. Death Cafes encourage the participants to face up to their thoughts and feelings around all aspects of death and share them with others. Talking about death in a normal, natural, and practical way is healthy, refreshing, and often a relief. And here is how it relates to friend grief: the more we are able to be open about death, instead of terrified (whether consciously or unconsciously), the more we will be able to be around death –our experiences of it and the experiences of others. The more we will be able to calmly be in that space. And from that space people will not need to be as far as way from you as possible when you’ve had a death in your life. And they won’t need the excuse of ‘it was just your friend/elderly parent/ex-partner/pet/estranged sibling, etc’ to protect themselves from it. So what can you do? Get along to Viki’s Death Café yourself….and tell everyone you know about it too. Maybe just one of your friends attends. Or maybe they don’t this time but they think about it for next time. Don’t underestimate the power in one small step forward. All of the most important movements that have changed the world have started with small steps. Have an amazing Death Café Viki. I wish I could be there! Kristie West is a G.R.I.E.F. Specialist. 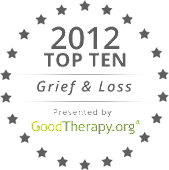 She helps adults who have had a bereavement in their lives, and her speciality is parent loss. After losing 6 family members in 4 months, including her dad who died very suddenly, Kristie found herself seeking help for what she was going through but wasn't satisfied with what she found. 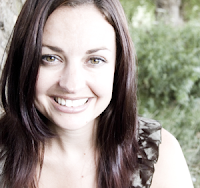 Going on her own journey of learning through psychology, coaching and various other change processes Kristie reached the point where instead of managing or dealing with pain she was left feeling grateful, connected to those she had lost, and totally free from pain. She created her own process based on her experiences and learnings and now takes others through it in a number of hours to achieve the same change that she did. She regularly blogs on her site www.kristiewest.com. Watch the Events page for more details on the first Death Café in Chicago! This is an interesting concept. I've been working on a project that I am hoping will help in some small way break the taboos of talking about death, especially among younger generations, where it's less expected and, it seems, far less understood. We can't help each other if we're unwilling to talk about it. Good for you for thinking out of the box on this. Yes, it is, Stephanie. If you haven't already, check out the Death Cafe website. The concept started in Switzerland, but it's really taken hold in London. Looking forward to hearing about your project, too!